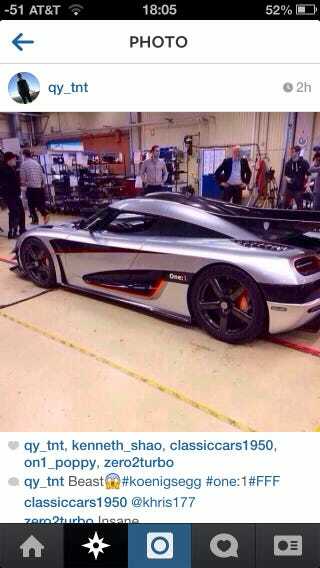 Reddit has yielded some pictures of the Koenigsegg One:1. Feast your eyes on all 1340HP of glory. Curb weight is 1340kg with a claimed 2g of lateral force and 600kg of downforce.